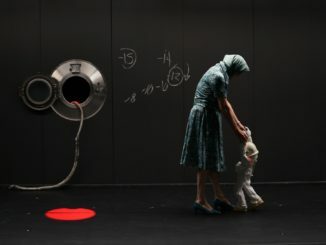 Choreographic and design duo Jirí and Otto Bubeníček originally staged The Piano: The Ballet in Germany, 2014, as part of a triple bill. In its latest incarnation for the Royal New Zealand Ballet it has been reworked into a full-length narrative ballet, closely following Jane Campion’s award-winning film. The set design is a real strength for this production, utilising large, mobile screens and high-spec projectors to create crystal-clear images of New Zealand scenery. The flexibility of the screens and quality of the projection enable depth and texture in a set that would ordinarily feel two-dimensional and flat. Footage was gathered during a previous New Zealand campervan trip by the creative team, which feels like a very Kiwi way to create a set. Some of the original darkness and desolation of early-colonial New Zealand in the film – which fed the juxtaposition between Ada and her new life – was absent. In this version, a pristine white church, elaborate wallpaper, and sunny waterfalls replace the mud, rain and makeshift settler houses. Abigail Boyle is perfectly cast as Ada McGrath; her performance is detailed, intelligent and rich. Technically she is striking in neoclassical choreography, as her pas de deux partnering with both Alex Ferreira (as George Baines) and Paul Mathews (as Alistair Stewart) exemplified. Principal characters demonstrate individual movement vocabularies, which communicate some of the emotional depth of their stories. Child guest performer Hazel Couper gives a sweet, tidy performance as Flora McGrath, and is surely enjoying a ballet student’s dream come true. An eclectic collection of music, including classical, modern and waiata were curated to create a score for The Piano, including three pieces from the film score by Michael Nyman (although not the iconic title piece). Choreography moves between being closely connected with sound, to almost divorced from it. Some crescendos are effective and essential, others feel discordant. 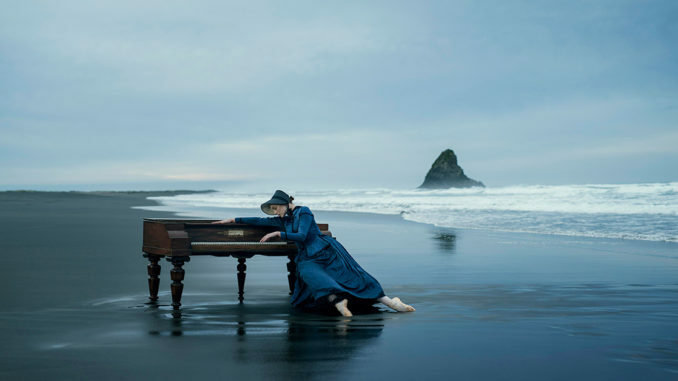 The Royal New Zealand Ballet has given particular consideration to cultural elements of The Piano, especially with regards to the portrayal of Māori who were essential for creating context and contrast in the film. The company provided programme notes and a blurb on the back of the cast list to this effect. 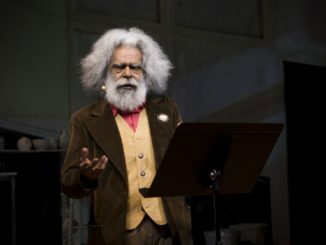 New Zealand choreographer Moss Patterson guided this production in the role of Māori advisor, ensuring that cultural appropriation present in the original German version, including blackface and painted-on moko, was removed. Billed as the ‘Local Community’, costumed in stylised aspects of European clothing, six dancers represented a race-less group dancing to waiata with elements of kapa haka referenced throughout. Without Tangata Whenua onstage, this story could have taken place anywhere in the world. 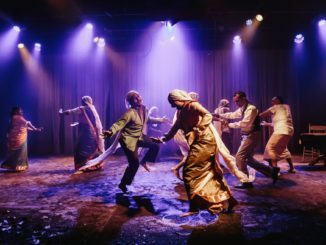 Nationwide there are many Māori dancers and dance companies, and if the work can’t be cast authentically in Aotearoa what chance is there for respectful representation beyond our shores? It is possible that an opportunity for authentic representation has been missed; Te Ao Māori in any context (be it contemporary or past) cannot be portrayed without its full accompaniments. This dark, emotive, grief-laden, passionate Kiwi story has been too altered by a modern European lens. The Piano: The Ballet is presented by the RNZB and played at the Aotea Centre as part of the Auckland Arts Festival. It continues a New Zealand tour until 28th March.